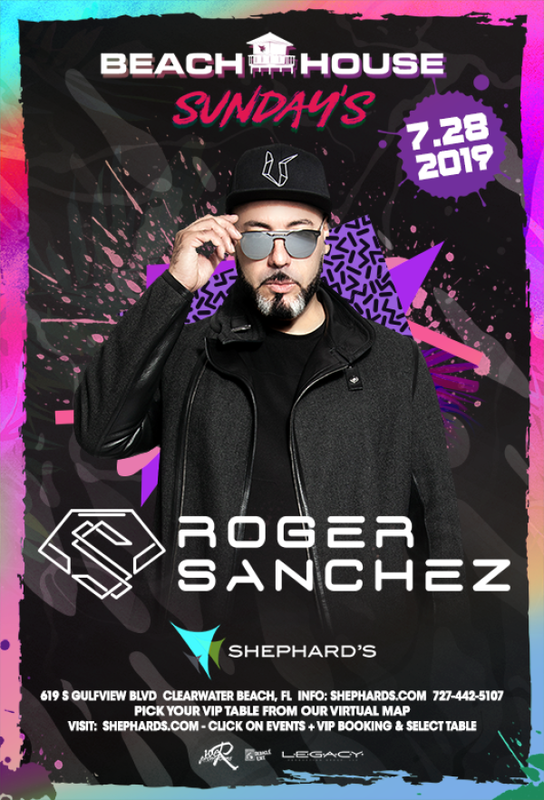 Roger Sanchez HEATS up the summer on July 28th, 2019 at Shephard's Beach House Sundays. Beach House Sunday's is the Largest weekly Electronic music event on the Gulf. DJ's From around the globe perform on a stage right over the Gulf of Mexico. Relax on our private beaches or poolside in a Cabana then dance the afternoon and night away on our tiki stage. Arrive early and indulge in our Champagne brunch.